With more than 25 wineries, the South Willamette Valley has a huge variety of tasting opportunities. Where do you start in planning your visit? Large internationally recognized names like King Estate or Benton Lane or small, seasonally open venues. Each has unique offerings and is worth your time to seek out and explore. To help in your planning, we’ve provided a listing of our member wineries and convenient links for more information. We have organized our winery listings by geographical area relative to Eugene. Within each section we first list wineries that are open daily, year round, followed by wineries that are open with limited days year round and finally wineries that are open seasonally or by appointment. Located on an ultra-premium, sustainable 70 acre vineyard, Pfeiffer Vineyards is one of the oldest vineyards in the state with a reputation for producing world class pinot noir and pinot gris. As the first solar-powered winery in the south Willamette Valley, owners Robin and Danuta Pfeiffer were awarded a “Best Winery Experience” by readers of the Register Guard Newspaper. The tasting room is a candle-lit cave offering a personal, one-on-one wine tasting experience. “Our wine grapes deliver clean, delicate fruity flavors. And, our exquisite, small lot productions are only available through our tasting room and wine club, and are not distributed to stores or restaurants. Since we don’t distribute our wines, we manage our sulfite levels as low as possible.” The Pfeiffer Winery wine collection includes Chardonnay, Pinot Gris, Muscat, Pinot Noir, Merlot, 2 styles of Rose, an assortment of blends and Port-style wines. Bennett Vineyards & Wine Company is one of the newest additions to the South Willamette Valley wine scene. The handcrafted, artisanal Pinot Noir wines from Bennett Vineyards & Wine Company are grown exclusively in Gene and Lisa Bennett’s 20-acre vineyard in the Cheshire area. “We decided to stick with Pinot Noir exclusively to start with, wanting to focus on making a great red wine styled after France’s great red burgundy wines.” Three popular Pinot Noir clones grow on their beautiful estate, which also features a pond and Bear Creek, to produce the perfect blend of sweet, acid, fruit and earthiness. The Brigadoon vineyards are located just northwest of Eugene on a 66-acre farm that straddles an unnamed tributary of Ferguson Creek. At Brigadoon Wine Company the Shown family shares a commitment to fine wine and sustainable agriculture, the journey from field to glass. “With an elevation between 400 and 600 feet and predominantly Bellpine soils, our site is cooler and generally one week behind our neighbors. The additional time on the vine allows for further physiological fruit development and flavor development without necessarily producing higher sugars resulting in higher alcohol wines.” The Brigadoon Wine Company wine collection includes Pinot Blanc, Riesling and Pinot Noir. Open year round with seasonal hours, or please call for an appt. Walnut Ridge Vineyard is family owned and operated. Our mission is to produce high quality wine grapes in harmony with nature. We’ve been growing grapes since 2000 and have been certified sustainable since 2005. It’s hard work and it has its share of risks but we love it. Take a look at our site and you may understand why. We’ll provide periodic updates as each growing season progresses so check back often. We hope you find our site informative and entertaining. 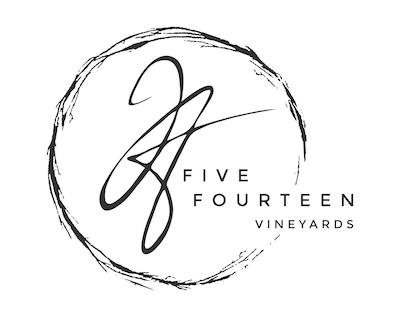 At Five Fourteen the combination of site and meticulous farming practices produce wines that are full of character and complexity. Come join us Summer 2018 for a truly special tasting experience of our estate grown wines. 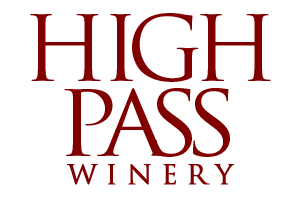 High Pass Winery located 15 miles northwest of Eugene in the scenic foothills of the coastal range mountains. Founded in 1985, by Dieter Boehm who was inspired by the Elbe River Vineyards and the romance of the wine villages. Being a small volume producer by choice, the founder /winemaker Dieter Boehm is personally involved in all aspects of vineyard and winery operations. His wife Fridah, manages the tasting room and is known as a gracious hostess during her famous “African Night in the Vineyard”. The High Pass wine collection includes: Estate Pinot Noir, Pinot Gris, Riesling, Sauvignon Blanc, Huxelrebe and Scheurebe. RainSong Vineyard is a small family- operated vineyard and winery owned by Mike and Merry Fix. The site of their 55-acre farm is comprised of a wonderful combination of meadow, pond, and woodland with a gentle southeastern slope. “We have 9 acres of vines, 6 of which are Pinot Noir, with the remaining acreage in Chardonnay and Pinot Meunier. We enjoy the tasks involved with the operation of the vineyard and the winery and we want to stay intimately connected to both endeavors. By performing tasks ourselves, we can give personal attention to all aspects of wine production.” RainSong also offers a unique program, enabling groups to bottle and custom label barrels of wine. The RainSong wine collection includes Pinot Noir, Pinot Meunier, Chardonnay, Riesling, Rosé of Pinot Noir, Rosé of Meunier, Sparkling Rosé, Methodé Champenoise Sparkling Wine and Blanc de Noirs Sparkline Wine. The LaVelle Vineyards estate winery, located in Elmira, is the oldest bonded winery in the southern Willamette Valley. “We are locally focused and family owned. My dad began making wine in 1995, the same year of which he started our popular wine club. I joined the operations in 2006 and started my journey to being the winemaker the following year.” – Matthew LaVelle, winemaker. LaVelle Vineyards offers four different flights to please all palates, including a Pinot Noir Flight of all estate grown Pinot Noir. With recently added outdoor fire pits, and “The LaVelle Loft” and many events, they are a year round destination. Family-owned Sarver Winery specializes in small lot productions of the finest Willamette Valley and regional wines. Chris and Erin Sarver proudly offer a leisurely wine flight complemented by unsurpassable views of the Willamette Valley and a delicious selection of gourmet cheeses, salamis, French olives, patés and fresh baked baguettes. Enjoy the expressive nature of our classic Estate-grown Pinot Gris and Pinot Noir series made from our 25-year-old Willamette Valley vines (including an enigmatic Pinot Noir Rosé! ), and explore the realm of full-bodied, complex reds. We look forward to welcoming you. For owners, Eric and Lorrie Normann, Valhalla is the “grand hall” in heaven where life is celebrated with food and wine. Here at Valhalla Winery we take that very literally. Our philosophy is to take every moment that life gives you and turn it into a celebration. Our Mission is to offer each of our guests a warm and welcoming atmosphere where they can kick back and relax, while enjoying our award winning wines, surrounded by the natural beauty of our winery and the unsurpassed hospitality of our wine team. The King Estate Visitor Center is highlighted by panoramic views of the Lorane Valley and includes a tasting bar, fine dining restaurant, and private event space. King Estate is managed as an integrated, sustainably farmed ecosystem, with an emphasis on responsible stewardship of the watershed and habitat. “We produce highly regarded wines from organically certified grapes and raise estate grown organic produce for our innovative culinary program.” The King Estate wine collection includes Pinot Gris, Pinot Noir, Chardonnay, Riesling and Cabernet Sauvignon. Noble Estate Vineyard & Winery is a family-owned winery and vineyard located near Eugene. Each bottle of Noble Estate wine brings a taste of the local terroir paired with the view from the Noble Estate tasting room. “At Noble Estate we work hard to produce delicious, high quality wines- many of which are award-winning. Our vineyards are LIVE Certified Sustainable and Salmon-Safe.” The Noble Estate wine collection includes Pinot Gris, Chardonnay, Sauvignon Blanc, Riesling, Viognier, Pinot Noir, Merlot, Cabernet Sauvignon, Syrah, Meritage, Gewurztraminer, Muscat, and Passion. Silvan Ridge Winery is maintained in the tradition of a small European winery. Located just fifteen miles southwest of downtown Eugene, our patio and picnic area overlooking the rolling hills covered in vines provides the perfect backdrop for an afternoon picnic, or an evening under the stars. We welcome daily visitors to stop in for a complimentary tasting of our award-winning wines. Relax near our cozy fireplace, immerse yourself in the elegant beauty of our tasting room, or enjoy a picnic on our patio for a lazy afternoon. At Silvan Ridge Winery, you are always welcome. 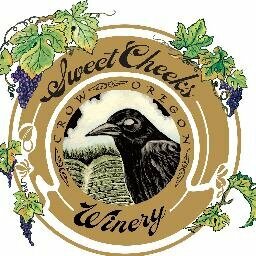 Nestled in the Southern Willamette Valley, Sweet Cheeks winery has made a mark with award-winning wines, friendly wine servers and a beautiful view from the patio. We opened our doors on Thanksgiving weekend 2005 and have continued to provide delicious wines in a fun, relaxing atmosphere. Open every day year-round you can walk through our doors and enjoy complimentary tastings while chatting with our knowledgeable staff. Enjoy a picnic with your favorite glass of wine either on the sunny patio atop the vineyard or next to the cozy fire on a rainy day. Throughout the year we do host signature events with specialty foods and entertainment giving you even more time to soak in the breathtaking view and grab some of our select wines. Iris Vineyards wines are all hand crafted from grapes grown in Chalice Vineyard, located near Lorane. Iris also utilizes grapes purchased from a few, carefully selected Oregon vineyards known for growing wine grapes of exceptional quality. Owners Pamela Frye and Richard Boyles are native Oregonians and live on their 870-acre family estate overlooking Iris Vineyards. “Our goal is to capture the finest elements of the grapes by gentle handling, skillful artisan processing, and patiently waiting until the wines are truly ready to enjoy before their release.” The Iris Vineyards wine collection includes Pinot Noir, Pinot Gris and Chardonnay. Saginaw Vineyard is at the southernmost tip of the Willamette Valley in a unique micro-climate created where the valley floor rises and the Coast Range meets the foothills of the Cascades. The Byler family planted and operates the small vineyard and offers complimentary tastings of award-winning wines, including farm-fresh fruit wines in the original building of a 1905 farmstead. “We specialize in traditional, hand-crafted, Pinot Noir and Pinot Gris wines as well as Rose’ of Pinot Noir. Our cool nights and warm afternoons are ideal for the Pinot Noir and Pinot Gris varietals and help the grapes develop the characteristic fruity flavors typical of the best vineyards.” The Saginaw Vineyard wine collection includes Chardonnay, Pinot Gris, Pinot Noir, Cabernet Sauvignon, Marechal Foch, Riesling, Rose’ of Pinot Noir, Fruit wines including Blackberry, Raspberry, Blueberry, and White Chocolate Cherry, and Port-style wines. Saginaw Vineyard is at the southernmost tip of the Willamette Valley in a unique micro-climate created where the valley floor rises and the Coast Range meets the foothills of the Cascades. The Byler family planted and operates the small vineyard and offers complimentary tastings of award-winning wines, including farm-fresh fruit wines in the original building of a 1905 farmstead. “We specialize in traditional, hand-crafted, Pinot Noir and Pinot Gris wines as well as Rose’ of Pinot Noir. Our cool nights and warm afternoons are ideal for the Pinot Noir and Pinot Gris varietals and help the grapes develop the characteristic fruity flavors typical of the best vineyards.” The Saginaw Vineyard wine collection includes Blackberry Port-Style Wine, Riesling, Rosé of Pinot Noir, Muller Thurgau, Pinot Gris, Marechal Foch, Pinot Noir, Chardonnay, and Cabernet Franc. 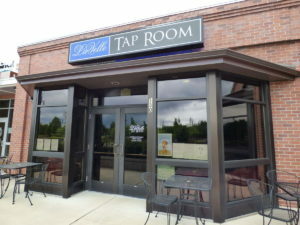 LaVelle Wine Bar & Grille Built with the intention of being flexible to our patron’s needs, the Wine Bar & Grille is adaptable to many different events: business meetings, parties, classes and more! The LaVelle Wine Bar & Grille is the premier destination for unique wine experiences in the Eugene/Springfield area. It is a great place to relax and learn about wine while experiencing our exceptional service. Our extensive wine list, rotating beers on tap, and a beautifully built food menu makes The LaVelle Wine Bar & Grille the place to be for the casual wine explorer and wine enthusiasts alike. What began as a hobby in 2006 serves as the motivation and drive that propels our mission at Hayworth Vineyards and Hayworth Estate Wines today. Our original small blocks of Pinot Noir, Pinot Gris, and Gamay Noir were grafted onto 101-14 improved root stock and planted in the summer of 2006. Overhead sprinklers were used to get them established throughout the first year and since then they have sustained themselves on what nature provides with good soil and rainfall. All of these grapevines have performed very well and blessed us with some very nice vintages to enjoy. 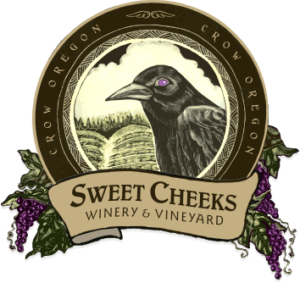 Our wines are delectable and savory blends of grapes grown in the Willamette Valley in Oregon. We invite you to visit the farm and vineyard – by appointment – after contacting us. Enjoy our wines in the heart of downtown Eugene at the beautiful Fifth Street Public Market. Join us daily for a tasting with one of our friendly and knowledgeable staff members. Eugene Wine Cellars is an urban winery, established in the Whitaker neighborhood near downtown Eugene. Eugene Wine Cellars’ restaurant, the b2 Wine Bar, a unique gathering place located at Crescent Village in Eugene, serves more than 60 wines. 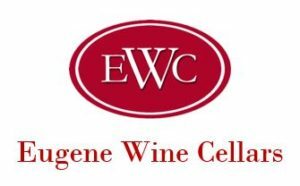 The Eugene Wine Cellars’ tasting room, located on Madison Street in Eugene, serves the latest vintages with a signature appetizer plate. “Our winemaking team is committed to old school winemaking practices in the cellar so that we can express the vintage, terroir, and description of the grape variety so the consumer can have a complete sensory experience with each taste.” The Eugene Wine Cellars wine collection includes Pinot Noir, Pinot Gris, Viognier, Red Blend and White Blend. 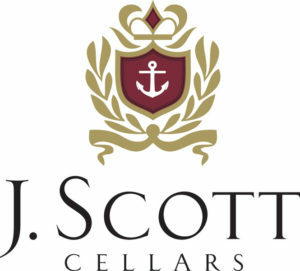 J. Scott Cellars is a small boutique wine producer featuring wines of the Pacific Northwest. Winemaker Jonathan Scott Oberlander is the epitome of the new generation of Oregon winemakers who utilize a combination of Old World winemaking traditions with New World technology and innovation. “It is our belief that wine is a form of consumable art, where no two pieces are ever exactly alike. Rather, each wine is a “snap-shot” of the growing season, mixed with specific varietal characteristics unique to each grape and a small amount of human intervention. 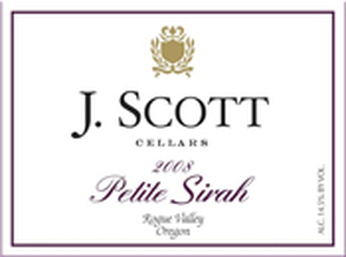 Each of our wines represents a singular artistic expression of the winemaker.” The J. Scott Cellars wine collection includes Petite Sirah, Viognier, Roussanne, Syrah, Cabernet Sauvignon, Grenache, Pinot Noir and Pinot Blanc. The Territorial winery has an urban setting, located a couple blocks east of the Blair Boulevard historic district in Eugene’s funky and thriving Whiteaker neighborhood. Founded by two Lane County wine grape-growing families, Territorial Vineyards & Wine Company vinifies what it grows. Dig the elegance and distinction of site-driven wines built with viticultural grooviness and oenological prowess. Alan and Jeff manage their vineyards for quality alone. “We wear both hats, grower and producer, and spare no expense or effort in our vineyards to raise the very best fruit our sites can yield.” The Territorial wine collection includes Pinot Gris, Riesling, Chardonnay and Pinot Noir.